The TCU Horned Frogs take on the West Virginia Mountaineers on Saturday, October 22, 2016 at Mountaineer Field. The opening line for this game has West Virginia as 5 point favorites. This season the Horned Frogs are 1-5-0 against the spread and their over/under record is 4-2-0. 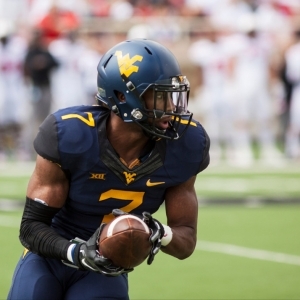 The Mountaineers have an over/under record of 2-3-0 and they are 2-3-0 against the spread. Kenny Hill finished with 206 yards through the air for TCU last week. He completed 17 passes out of 32 attempts for a 53% completion percentage. The Horned Frogs were led in rushing by Kyle Hicks, who finished with 104 yards on 18 rushes. He ended the contest with an average of 6 yards per carry. Jaelan Austin was the team leader in receiving with a total of 48 yards and 3 receptions. He finished the game with an average of 16 yards per reception. As a team in that game TCU got a total of 18 first downs. Of those first downs, 9 came on the ground while 7 came through the air. They ran 66 total plays for 366 yards for the game. The Horned Frogs ran for 160 yards on 34 attempts. Skyler Howard finished with 318 yards passing for West Virginia last week. He went 21 for 31, resulting in a 68% completion percentage. The Mountaineers were led on the ground by Rushel Shell, who finished with 104 yards on 21 carries. He ended the game with an average of 5 yards per rush. Daikiel Shorts led the team in receiving with 100 yards and 3 catches. He finished the game with an average of 33 yards per reception. West Virginia had 28 first downs total. 15 came from running the ball and 12 came from a pass. They ran 77 total plays for 650 yards for the contest. The Mountaineers ran for 332 yards on 46 carries as a team. TCU scores 40.2 points per game on offense this season, which ranks 19th in Division 1. In the passing department, they average 27.7 passes on 44.5 attempts for a 62.2 percent completion percentage this season. They throw for a total of 362.5 yards per game through the air as well, which ranks them 6th in college football. The Horned Frogs run for an average of 168.2 yards per game on 33.3 attempts for an average of 5 yards per carry. That ranks them 74th in the nation. They also run 77.8 plays per contest and average 6.8 yards per play for an average of 530.7 yards per game, ranking their offense 9th overall this season. The Horned Frogs average 24 first downs per game which ranks them 22nd in the country. They accumulate 79.7 penalty yards per game via 8.3 penalties, which ranks 7th in the nation. TCU allows 273.2 passing yards per game, ranking 103rd in D-1, and they allow 30 points per contest on defense, which ranks 86th. They give up 21.3 completions on 34.3 attempts per game for a completion percentage of 62.1. The Horned Frogs allow 150.7 rushing yards per game on 41.7 carries for an average of 3.6 yards per carry, which ranks their rush defense 57th in the country. TCU allows 423.8 total yards per game including 5.6 yards per play, which ranks their overall defense 85th in terms of yards per game. They force 1.5 turnovers per contest and get flagged for 5.5 penalties for 44.3 yards per game, ranking them 24th among D-1 teams. West Virginia averages 32.8 points per game this season on offense, which ranks them 47th in the country. In the passing department, they complete 23.8 passes per game on 36.4 attempts for a 65.4 percent completion percentage. They throw for 318 yards through the air per game, ranking them 16th in Division 1. The Mountaineers run for an average of 216.2 yards per game on 42 attempts for an average of 5.1 yards per carry this season, which ranks them 30th on the ground. They also run 78.4 plays per game and average 6.8 yards per play for a total of 534.2 yards per game, ranking them 7th in the country on offense. The Mountaineers get an average of 25.8 first downs per game, which ranks 13th in the nation. They average 57.4 penalty yards per game via 5.8 penalties, ranking them 54th in college football. West Virginia allows an average of 250.8 passing yards per game, which ranks 90th in Division 1. Their defense overall allows 19.4 points per contest, which has them ranked 25th in the nation. They give up 20.8 completions on 40.2 attempts for a completion percentage of 51.7 per game. The Mountaineers allow 159.8 rushing yards per contest on 39.4 carries for a 4.1 average per rush, ranking their overall rush defense 71st in the country. West Virginia allows 410.6 total yards per game for an average of 5.2 yards per play, which ranks 72nd in D-1. They force 1.6 turnovers per contest and 7 penalties for 58.8 yards in each contest, ranking 83rd in the nation.